H. David Kotz, inspector general of the U.S. Securities and Exchange Commission, has made 69 recommendations to the SEC for its improvement. He intends to see each one carried out so the agency can catch the next Madoff before it's too late. Federal Judge Denny Chin, when sentencing disgraced financier Bernard Madoff to 150 years in prison for possibly the largest fraud ever, called his crimes “extraordinarily evil.” Madoff said in court that he lived “in a tormented state now, knowing all the pain and suffering that I’ve created. I’ve left a legacy of shame.” But he left much more than that – depleted pensions, bankrupt nonprofits, and destroyed lives. And, sadly, much of that could have been prevented. H. David Kotz, inspector general for the Securities and Exchange Commission, wrote in his Aug. 31, 2009 report on the SEC’s failure to uncover Madoff’s Ponzi scheme, that from 1992 to 2008 the SEC received at least six complaints that should have raised red flags. Kotz’s investigation didn’t find evidence that SEC personnel who worked on examinations of Madoff’s firm had any financial or other inappropriate connections with Madoff or his family that influenced their work. But Kotz’s office found that the SEC enforcement staff lacked adequate guidance on how to appropriately analyze complaints. Kotz will lead a breakout session, “Lessons Learned from Examining the Oversight of Ponzi Schemes,” at the 21st Annual ACFE Fraud Conference and Exhibition, July 25-30, in Washington, D.C. The SEC’s Boston district office believed Harry Markopolos, CFE, CFA, to be credible, but in your investigation you found that that the New York SEC office was skeptical about Markopolos’ complaint because Madoff didn’t fit the profile of a Ponzi scheme operator. Why do you think these SEC employees missed the basic fraud examination principle that white-collar criminals often are the most respectable people in professional and social circles? Their lack of experience and training in these principles of fraud led them to believe that Bernie Madoff’s reputation made him an unlikely candidate to be such a large fraudster. The majority of the investigatory work in the SEC’s New York office on the Madoff case was conducted by a staff attorney who had recently graduated from law school. She had never been the lead attorney on any investigation. Why do you think the SEC didn’t have enough fraud examiners, quantitative analysts, or forensic accountants on staff to handle investigations like this? The SEC’s investigators’ lack of experience did contribute to their failure to understand that Madoff’s returns could not be real and, therefore, uncover the Ponzi scheme. In addition, there was a lack of coordination with other offices and divisions within the SEC that had the requisite experience. The SEC has implemented measures to retain more skilled staff and improve collaboration. We hope to see improvements in both of these areas. In your Aug. 31, 2009 report, “Investigation of Failure of the SEC to Uncover Bernard Madoff’s Ponzi Scheme,” you wrote that throughout the SEC’s Division of Enforcement’s Madoff investigation, the staff was confused about certain critical and fundamental aspects of Madoff’s operations. They never consulted the SEC’s experts on broker-dealer operations – the Division of Trading and Markets – which could have facilitated inquiries with independent third parties such as the National Association of Securities Dealers or the Depository Trust Company (DTC). Have you seen evidence that Division of Enforcement is doing better in this area? We are aware that both the [Division of] Enforcement and the SEC Office of Compliance Inspections and Examinations have implemented measures to require third-party verification in these types of examinations and investigations. On Sept. 29, 2009, you sent to Mary Schapiro, chairman of the SEC, and Robert Khuzami, director of the SEC’s Division of Enforcement, a memo detailing your program recommendations needed within Khuzami’s division. What general improvements have you seen so far? What changes do you anticipate? Our audits following the Madoff investigation made 69 specific and concrete recommendations for improvements within the SEC in light of our findings. The SEC has concurred with and indicated that it plans to implement all 69 recommendations. This process remains ongoing. Once completed, we plan to follow up to ensure that all of our recommendations have been fully implemented and that substantive improvements have been made. You note in your recommendations to the SEC that it had taken steps to improve its ability to handle tips and complaints. In February 2009, the SEC retained the Center for Enterprise Modernization to begin work on a comprehensive review of internal procedures to evaluate tips, complaints, and referrals. On Aug. 5, 2009, the Division of Enforcement announced the creation of an Office of Market Intelligence, which will be its liaison to the SEC’s tip, complaint and referral process. Have you been satisfied in the improvements to the system so far? We are pleased that the SEC is planning to revamp its tip and complaint processes. Once the new system has been implemented, we plan to carefully examine and assess it to ensure that the system is significantly improved. In your recommendations, you also note that SEC’s Division of Enforcement has said it plans to introduce the creation of national units dedicated to highly specialized and complex areas of securities laws. An intended outcome of these units, you write, is to allow staff to “get smart” about certain products, markets, regulatory regimes, practices, and transactions. Additionally, it will allow investigators to be more efficient and less likely to be misled by those who use complexity to conceal their misconduct. Have you seen satisfactory progress in this area? We believe that the adoption of these national, highly specialized units will help to ensure that investigators have the specific and sufficient knowledge of a matter that they are investigating. As these units have just recently been created, we have not been able to assess their effectiveness as of yet. Have you seen improvements in case processing, hiring of support staff, establishment of working groups to analyze the OIG survey information, and working relationships among divisions? We have seen a commitment on the part of the SEC to make improvements in these areas and plan to follow up once all of our recommendations have been implemented to assess whether tangible improvements have been made. Do you think Schapiro and Khuzami are on the right track so far? We do believe that Chairman Schapiro and Director Khuzami understand the importance of making meaningful improvements in [the Division of] Enforcement’s operations. We caution that once the new systems have been implemented, they must be assessed and tested to ensure their effectiveness. You personally led the questioning in the testimony and interviews of nearly all the witnesses in your investigation – 122 individuals within a short period of time. How did you keep up with such a grueling pace? What were some of the principles and procedures you kept to during the investigations? It was definitely a very grueling pace because we conducted so many interviews over such a short period of time, and many of them lasted many hours with few, if any, breaks. We were very committed to the investigation and the importance of discovering what had occurred both for the SEC and the general public. We received a great deal of inspiration from Madoff investors who encouraged us throughout the investigation and expressed sincere gratitude once it was completed. During your investigation, your team searched through 3.7 million e-mails from SEC employees. How were you able to do that quickly and efficiently? Did you learn anything new about e-mail investigation procedures? Did you find that any SEC employees tried to delete e-mails in anticipation of the investigation? We received excellent assistance from our information technology expert within the SEC and also retained an outside firm to assist in the e-mail review. We learned a great deal about the e-mail investigation procedures and made recommendations to the SEC’s Office of Information Technology to improve the process for the future. We obtained access to e-mails that were deleted, as well as information regarding when they were deleted, and thus, any efforts made by SEC employees to delete e-mails were counterproductive. During your June 17, 2009 jail interview with Madoff, he said the “problem” – the Ponzi scheme – began when he “made commitments for too much money” and then “couldn’t put the strategy to work.” He said, “It was my mistake not to just be out a couple hundred million dollars and get out of it.” Did you get a sense that he was telling the truth – that he got into something he couldn’t easily exit – or that it was his intention all along to make a lot of money illegally? Based upon our examination findings, we found it highly unlikely that Madoff’s purported strategy could actually generate the returns he was seeking. Therefore, we are suspicious that Madoff had intended or would ever have been able to achieve his returns without engaging in fraud. When you met with Madoff, did you believe that he showed true remorse or just relief that he finally got caught? 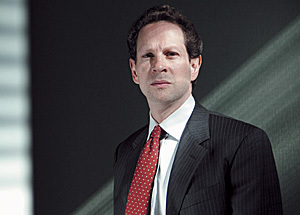 In the interview with us, Madoff expressed greater concern about his family and his reputation in the industry as a whole than he did about the victims themselves. In a Feb. 9 article in The New York Times (“S.E.C. Enforcers Focus on Avoiding Madoff Repeat,” by Jenny Anderson and Zachery Kouwe), Joel Seligman, an SEC historian, said the agency needs 1) a sustained period of serious enforcement and 2) several structural repairs including becoming self-financed through fees or penalties so “it is no longer hostage to Congressional budget masters.” Do you concur and, if so, do you have suggestions on how the SEC can move toward self-financing? We certainly agree that a sustained period of serious enforcement is critical to the SEC. There are also some concerns about adequate resources that were revealed during the course of our investigation. One method of obtaining additional resources would be through the self-financing mechanism. While we support additional resources for the SEC through any appropriate method, we also believe that the necessary improvements to the SEC policies and systems need to be made to ensure that all resources are properly utilized. In March, the SEC commissioners narrowly approved curbs on short selling ostensibly because they believed that it might have been a cause of the 2008 financial crisis. Do you think that was a good move? While we have not analyzed the issue of the appropriateness of curbing short selling, we did conduct an audit recently that concluded that naked short selling complaints were not being investigated in great numbers and that [the Division of] Enforcement’s complaint receipt and processing procedures actually hindered its ability to respond effectively to naked short selling complaints and referrals. We believe that enforcement of naked and unlawful short selling is critical to ensuring an orderly market. Joseph T. Wells, CFE, CPA, founded the ACFE in 1988 with the goal of teaching not just fraud examination skills but methods to deter fraud. What are your thoughts about how your IG work not just highlights SEC problems but ultimately prevents and deters future situations? I believe it is critical for IGs to act in a proactive manner to highlight issues that may result in fraud rather than simply being reactive when issues are brought to their attention. When I was inspector general for the Peace Corps, I implemented a very successful program to identify Federal Employee Compensation Act fraud on the part of Peace Corps Volunteers and employees that led to millions of dollars being saved. In my SEC work, we proactively audit SEC contractors and systems to uncover waste and fraud before they become apparent. You worked as an attorney for three law firms – two in New York City and one in Washington, D.C. – and then in federal government service. You joined the Peace Corps staff as associate general counsel but then accepted the inspector general position there in 2006. You subsequently became the SEC’s inspector general in 2007. Why did you make the switch from being legal counsel to investigator? Were there a series of events at the Peace Corps that pointed you to a different career direction? What excites you about being an IG? What motivates you in your work at the SEC? While it is not always an easy job and sometimes a thankless one, I very much believe in the mission of an inspector general. I think at the Peace Corps and elsewhere, people realized that I have the personal traits to be an effective IG, in that I am comfortable taking unpopular positions when necessary and have a burning desire to expose the truth. I was challenged to take on the inspector general position at the Peace Corps, and even more so at the SEC. While it is not for the faint of heart, an inspector general is able to effectuate tangible change and improvements in an organization that can be very meaningful. I am extremely proud of my offices’ accomplishments both at the Peace Corps, particularly in the area of volunteer safety and security and at the SEC in terms of identifying issues of importance to the investing public. More than 340 SEC employees have earned the Certified Fraud Examiner credential so far since Mary Schapiro came on board. How do you think the CFE training will help SEC investigations? I believe that CFE training is very important in assisting SEC investigators to understand how to locate, identify, and uncover fraud. Increased training in these areas will hopefully ensure that the SEC catches the next Madoff before it has such a devastating effect on so many people. What kind of advice can you give our members as they diligently work to deter, detect, and examine fraud in the public and private sectors? My advice would be to be persistent and skeptical, verify each area of concern, and work in a collaborative fashion with others to achieve a common goal. We all need to work together to stay ahead of the fraudsters. The Securities and Exchange Commission appointed H. David Kotz, Esq., as its inspector general (IG) on Dec. 5, 2007, after he’d served as the Peace Corps IG since February 2006. As the Peace Corps IG, Kotz was responsible for overseeing the internal operations of Peace Corps programs in Washington, D.C., at 11 regional offices, and in nearly 70 countries around the world. He joined the Peace Corps in October 2002 as an associate general counsel. Kotz previously worked at the U.S. Agency for International Development as an attorney advisor in the Office of the General Counsel and later as a chief in the Office of Labor and Employee Relations. Prior to his government service, Kotz worked at three law firms: Pepper Hamilton, LLP, in Washington, D.C.; Stults & Balber, P.C., in New York City; and Graham & James in New York City. 1) Establish formal guidance for evaluating various types of complaints (e.g., Ponzi schemes) and train appropriate staff on the use of the guidance. The guidance should address the necessary steps and key information required to be collected when conducting preliminary inquiries of various types of complaints, specify what information should be documented, and list whom should be consulted in other offices within the SEC with relevant expertise in various subject matters and other pertinent data. 2) Ensure the SEC’s tip and complaint handling system provides for data capture of relevant information relating to the vetting process to document why a complaint was or was not acted upon and who made that determination. 3) Require tips and complaints to be reviewed by at least two individuals experienced in the subject matter prior to deciding not to take further action. 4) Establish guidance to require that all complaints that appear on the surface to be credible and compelling be probed further by in-depth interviews with the sources to assess the complaints’ validity and to determine what issues need to be investigated. Such guidance should also require that staff obtain all relevant documentation related to such complaints. 5) Provide training to staff to ensure they are aware of the guidelines contained in Section 3.2.5 of the [Division of] Enforcement Manual and Title 17 of the Code of Federal Regulations, Section 202.10 for obtaining information from media sources. 6) Annually review and test the effectiveness of its policies and procedures with regard to its new tip and complaint handling system. [The Division of] Enforcement should also modify these policies and procedures, where needed, to ensure adherence and adequacy. 7) Put in place procedures to ensure that investigations are assigned to teams where at least one individual on the team has specific and sufficient knowledge of the subject matter (e.g. Ponzi schemes) and the team has access to at least one additional individual who also has such expertise or knowledge. 8) Train staff on what resources and information are available from the national specialized units and when and how assistance from these units should be requested. 9) Make it mandatory that planning memoranda be prepared during an investigation and that the plan includes a section identifying what type of expertise or assistance is needed from others within and outside the Commission. The plan should also be reviewed and approved by senior [Division of] Enforcement personnel. 10) Require that after the planning memorandum is drafted, it is circulated to all team members assigned to the investigation, and all team members then should meet to discuss the investigation approach, methodology and any concerns team members wish to raise. 11) Establish procedures so that junior-level [Division of] Enforcement attorneys who are having difficulty with obtaining timely assistance from outside offices are able to escalate their concerns to senior- level management within [the Division of] Enforcement. 12) Conduct periodic internal reviews of any newly implemented policies and procedures related to information sharing with divisions and offices outside of [Division of] Enforcement to ensure they are operating efficiently and effectively and necessary changes are made. 13) Require that the planning memorandum and associated scope, methodology and time frames be routinely reviewed by an investigator’s immediate supervisor to ensure investigations remain on track and determine whether adjustments in scope, etc. are necessary. 14) Ensure that sufficient resources, both supervisory and support, are dedicated to investigations up front to provide for adequate and thorough supervision of cases and effective handling of the investigations. 15) Put in place policies and procedures or training mechanisms to ensure staff have an understanding of what types of information should be validated during investigations with independent parties such as the Financial Industry Regulatory Authority, Depository Trust Company, and Chicago Board Options Exchange. 16) Include in its complaint handling guidance proper procedures for ensuring complaints received – even if an investigation is pending closure – are properly vetted. 17) Conduct periodic internal reviews to ensure that MUIs [matter under inquiry] are opened in accordance with any newly developed Commission guidance and examine ways to streamline the case closing process. [The Division of] Enforcement should also ensure staff have adequate time in which to complete these types of administrative tasks. 18) Put in place a process to periodically remind staff of their responsibilities regarding impartiality in the performance of official duties and instruct staff where they can find additional information regarding impartiality. 19) Establish or utilize an existing working group to analyze the OIG [Office of Inspector General] survey information regarding staff concerns over communication of program priorities and make recommended improvements to the director of enforcement. 20) Establish or utilize an existing working group to analyze the OIG survey information regarding staff concerns regarding case handling procedures within [the Division of] Enforcement and make recommended improvements to the director of enforcement. 21) Establish or utilize an existing working group to analyze the OIG survey information regarding staff concerns over working relationships within [the Division of] Enforcement and make recommended improvements to the director of enforcement. CFEs can deter fraud resulting from irresponsible, anonymous Internet postings, but they can only do it with assistance from their in-house or retained legal counsel.